It's been a few years since my love and I have taken a vacation. We've been back in San Diego for almost a year now, and although the move back from L.A. to be close to family was great, it wasn't without stress. We really need some time away! 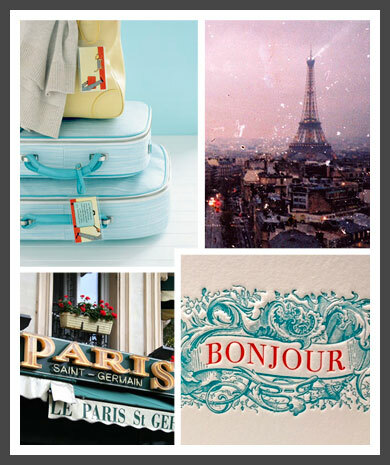 With this in mind I've created this visual + sparkle to keep my mind at peace in knowing that a relaxing getaway is not far away...and Paris is our preferred destination. Happy Weekend!